Sixteen-year-old, music- and sound design-obsessed Drea doesn't have friends. She has, as she's often reminded, issues. Drea's mom and a rotating band of psychiatrists have settled on "a touch of Asperger's." Having just moved to the latest in a string of new towns, Drea meets two other outsiders. And Naomi and Justin seem to actually like Drea. The three of them form a band after an impromptu, Portishead-comparison-worthy jam after school. Justin swiftly challenges not only Drea's preference for Poe over Black Lab but also her perceived inability to connect with another person. Justin, against all odds, may even like like Drea. Every once in awhile I'll come across a book that takes me by total surprise. The kind of surprise that reminds me why I love to read so much. Harmonic Feedback did just that. This particular story is written in a voice that is so easy to follow and identify with. I felt myself connecting with Drea from the first few pages and could not walk away until I heard her entire story. This was my first book to read which touched upon Asperger's syndrome. I am familiar with the disease, and it's array of symptoms - ranging from extreme to very mild. In Drea's case, she falls on the mild scale. However, there were many moments in this book where AS presented itself, but Drea faught hard against the syndrome and attempted to be heard by her own voice. I think that's one of the most beautiful aspects of this story. Drea has just moved to a new town with her mom, never knowing if and when they'll be on the move again. But something feels right about this place, and maybe, just maybe Drea can finally settle down and place some roots somewhere. She is still hesitant on making friends because of her past. Growing up with AS has not been easy; the constant picking on and labeling has plagued Drea and made her very hesitant on opening up to people. The changes begin to occur when she meets Naomi and Justin. Finally Drea has found others who accept her. Even though it isn't always easy, she's learning how to make and keep relationships with people. Tara Kelly has the ability to write with such engaging words that you don't feel as though you're forcing a story to be connected with. It just happens, so easily and naturally. I literally could not put this one down. It's the most amazing and wonderful feeling when you come across a contemporary author who speaks right to you. I feel as though Tara Kelly knew the type of book which I would adore and wrote every word, each chapter just for my eyes only. From the captivating music that's littered through out the story, to the raw emotional characters, I have deemed this book as one of my favorites read this year. 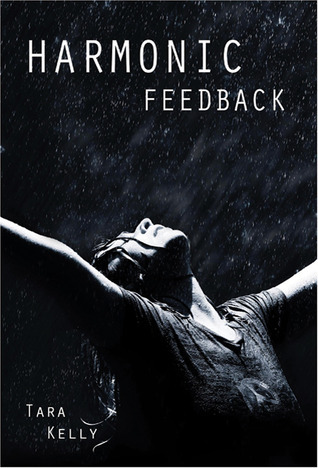 Do yourself a favor and grab a copy of Harmonic Feedback. Though this book's greatness has seemed to be whispered, I feel the need to shout it's grandeur to every reader I know. I have never heard of this book before, nor have I seen this cover! But, as so often - your review makes me want to grab this book right now! I LOVE reading books that feel so right and remind you exactly why you love to read. If this book managed this, I'm all here! When I saw you reading it, I knew you'd like it. I first saw Lucy @ The Reading Date talking about it. You've reminded me I need to get this one. I forgot about the AS aspect. YES! I'm so thrilled you loved and reviewed it. It took me by total surprise too, and I kept thinking "how is every blogger on the planet not out absolutely raving about this book?!?" ....so I'm glad to see someone agrees with me. I may need to borrow this! I love when the connection between book characters and readers happens naturally! I haven't heard of this one but it sounds amazing. This sounds really good! I hadn't heard of it, but now that I have, you can be sure I'll check it out. Absolutely WONDERFUL review! 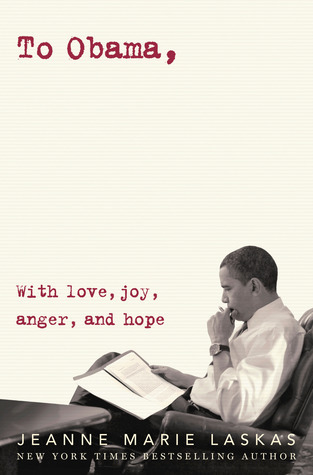 I have heard very little about this book but it sounds like it is going to be a remarkable read.